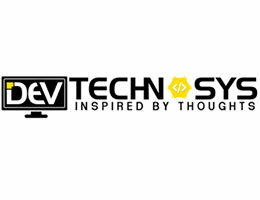 DevTechnosys is an ISO 9001:2008 certified Website & Mobile App Development Company. Over a period of 8 years ever since our inception we have consistently raised the bar for our competitors delivering them unbeatable Tech-solutions. With a notion of “bringing IT to life” we rendered to our clients with latest technology, merchandising their brand on global face, and stimulated their growth by implying diverging operations.